The Rolling Stones are an English rock band formed in London in April 1962 by guitarist and harmonica player Brian Jones, pianist Ian Stewart, vocalist Mick Jagger and guitarist Keith Richards. Bassist Bill Wyman and drummer Charlie Watts completed the early lineup. Rhythm and blues cover songs dominated The Rolling Stones' early material. They are credited for raising the international regard for the more primitive blues typified by Chess Records' artists such as Muddy Waters who wrote "Rollin' Stone,” the song after which the band is named. Unconcerned with being authentic blues stylists, from the start the Rolling Stones have played rock and roll, and have written and recorded in many genres. Though Jones initially led the band, Jagger and Richards took over after teaming as the band's songwriters. By 1969 Jones had contributed minimally to recording, was legally barred from touring the United States, and was in failing health. By mutual agreement Jones left the band, and Mick Taylor became his replacement. Weeks after leaving the band, Jones drowned. Taylor left in 1974 and was replaced by Ronnie Wood. Wyman left in 1990, and his replacement Darryl Jones became the primary bassist, but he is not a full member. Stewart was taken from the official lineup in 1963 to continue as the band's road manager and occasional keyboardist until his death in 1985. Chuck Leavell has been the primary keyboardist for the band. After gaining popularity in Europe, The Rolling Stones became successful in North America during the so-called British Invasion of the mid 1960s. Their self-titled debut album was released in April 1964 by Decca Records and was preceded by their first single, 1963’s cover of Chuck Barry’s “Come On.” The band's second U.K. album, “The Rolling Stones No. 2,” released in January 1965, was another #1 on the Album chart. 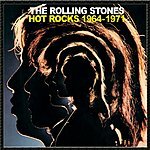 The U.S. version, released in February as “The Rolling Stones, Now!” went to #5. Most of the material had been recorded at Chess Studios in Chicago and RCA Studios in Los Angeles. “Aftermath,” released in the late spring of 1966, was the first Rolling Stones album to be composed entirely of Jagger/Richards songs. It went to #1 in the U.K. and peaked at #2 in the U.S. On this album Jones's contributions expanded beyond guitar and harmonica adding sitar to the Middle Eastern-influenced "Paint It Black,” dulcimer to the ballad "Lady Jane" and marimbas to "Under My Thumb.” The Stones' success on the British and American singles charts peaked during 1966. "19th Nervous Breakdown" which went to #2 in the U.K. and U.S. was followed by their first trans-Atlantic #1 hit "Paint It Black" in May 1966. January 1967 saw the release of “Between the Buttons” a #3 hit in the U.K. and #2 in the U.S. The U.S. version included the double A-side single "Let's Spend the Night Together" and "Ruby Tuesday,” which went to #1 in America and #3 in the U.K. The band went through issues surrounding drug related arrests and spent the first few months of 1968 working on material for their next album. Those sessions resulted in the song "Jumpin' Jack Flash,” released as a single in May 1968. The song and the subsequent album, “Beggars Banquet”, an eclectic mix of country and blues-inspired tunes, marked the band's return to their roots, and the beginning of their collaboration with producer Jimmy Miller. In the U.K. the album peaked at #3 while reaching #5 in the U.S. Featuring the lead single "Street Fighting Man" and the opening track "Sympathy for the Devil,” “Beggars Banquet” was well received at the time of release. The release of “Let It Bleed” came in December 1969 and saw the album reach the top of the U.K. Albums chart and #3 in the U.S. Their last album of the sixties, “Let It Bleed” featured "Gimmie Shelter," "You Can't Always Get What You Want,” "Midnight Rambler,” as well as a cover of Robert Johnson's "Love in Vain." The U.K. and U.S. #1 album, “Sticky Fingers” was released in March 1971, and was the band's first album on their own label. The album contains one of their best known hits, "Brown Sugar,” and the country-influenced "Wild Horses". Following the release of “Sticky Fingers,” the Rolling Stones left England after receiving financial advice. They moved to the South of France, where Richards rented the Villa Nellcôte and sublet rooms to band members and their entourage. Using the Rolling Stones Mobile Studio, they held recording sessions in the basement. They finalized the resulting tracks, along with material dating as far back as 1969, at Sunset Studios in Los Angeles. The resulting double album, “Exile on Main St,” was released in May 1972 and went to #1 on both the U.K. and U.S. albums charts. The album was preceded by the U.K. and U.S. Top 10 hit "Tumbling Dice." "Happy,” sung by Richards, would be a Top 30 U.S. hit later that summer. In November 1972, the band began sessions in Kingston, Jamaica, for their follow-up to Exile, “Goats Head Soup” which again topped the charts in the U.K. and America. The album spawned the worldwide hit "Angie,” but proved the first in a string of commercially successful but tepidly received studio albums. The band went to Musicland studios in Munich to record their next album, 1974's “It's Only Rock 'n' Roll.” Both the album and the single of the same name were hits with the album reaching #2 in the U.K. and #1 in the U.S. In 1978, the band released “Some Girls” again reaching #2 in the U.K. and #1 in the U.S. It included the hit single "Miss You,” "Beast of Burden,” the country ballad "Far Away Eyes,” and "Shattered." Following the success of “Some Girls,” the band released their next album, “Emotional Rescue” in mid-1980. The album hit the top of the charts on both sides of the Atlantic and the title track reached #3 in the U.S. 1981’s “Tattoo You,” #2 in the U.K. and #1 in the U.S., featured a number of outtakes, including lead single "Start Me Up,” which reached #2 in the U.S. and ranked #22 on Billboard's Hot 100 year-end chart. “Dirty Work” was released in March 1986 to mixed reviews despite the presence of the U.S. Top 5 hit "Harlem Shuffle." Heralded as a return to form, 1989’s “Steel Wheels” included the singles "Mixed Emotions," "Rock and a Hard Place" and "Almost Hear You Sigh." In 1989 the Rolling Stones were inducted into the Rock and Roll Hall of Fame. 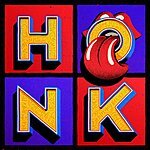 1994's Voodoo Lounge was met strong reviews and sales, going double platinum in the U.S. while peaking at #2 and reaching #1 in the U.K. Reviewers took note of the album's "traditionalist" sounds, which were credited to the Rolling Stones' new producer Don Was. It would go on to win the 1995 Grammy Award for Best Rock Album. The Rolling Stones ended the 1990s with the album 1997 “Bridges To Babylon” which went to #6 in the U.K. and in the U.S. #3. “A Bigger Bang,” their first album in almost eight years, was released in 2005, reaching #2 in the U.K. and #3 in the U.S. The single "Streets of Love" reached the Top 15 in the U.K.